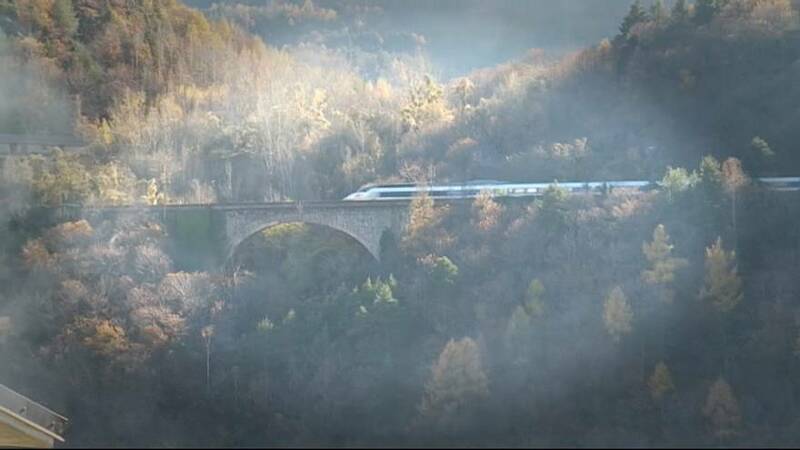 The controversial high-speed railway line proposed between Lyon and Turin has returned to the centre of Italy's poliical debate. A new tunnel being built on the western side of the Alps, from now until 2029, is dividing opinion amongst the new Italian coalition Government. Far-right party Lega Nord is in favour but Five Star Movements is against the project. There have been four international agreements between Italy and France regarding the rail line, with the first ones dating back to 1996. At the most recent Italy-France summit, former Italian Prime Minister Paolo Gentiloni was reassured by French President Emmanuel Macron about France's commitment to the tunnel's construction. The base tunnels of Mont Cenis and two stations of Susa and Saint-Jean-de-Maurienne represent the high-speed railway line, which is 65 km long: 45 Km are in France, 12.5 Km on the Italian side. The cost of the cross-border section is more than €8.5 billion. The 40% of the total amount is co-financed by the European Union, the rest between Italy (35%) and France (25%). A number of protests have taken place in Italy against the project, with many unhappy about the construction's high costs and environmental impacts. The movements have adopted the acronym "No TAV" (which stands for 'treni alta velocita', meaning 'high speed railway'). Around four million lorries a year cross the Po Valley. It's hoped the Turin-Lyon rail passage can reduce pollution and relieve congestion on the motorways. The European Commission estimates the project will support economic growth at regional and local level, with around 15,000 jobs being created in businesses and in tourism.